The name of this gown is Kali. 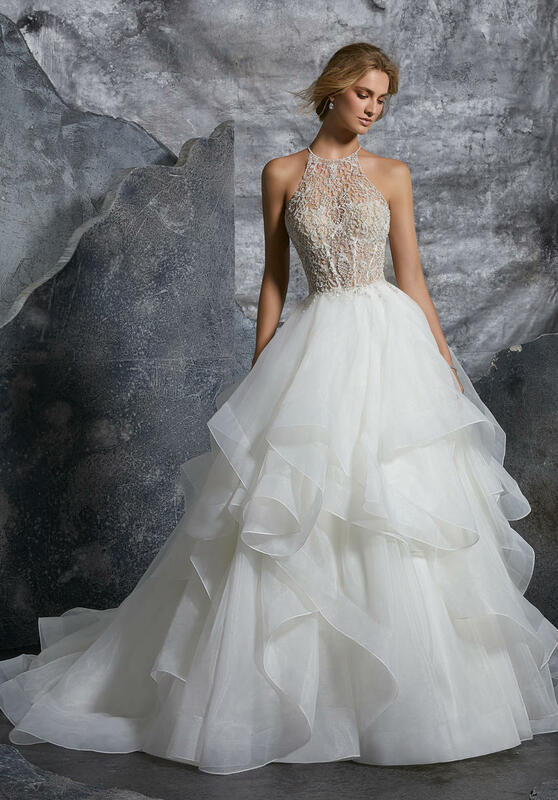 Intricately Beaded Embroidery on Flounced Organza Ball Gown. Matching Satin Bodice Lining Included Available in Three Lengths: 55", 58", 61"